Website designing plays a pivotal role in the success of every business irrespective of their niche. Having a splendid online presence is always essential to establish a brand identity and to engage the customers. Every webpage should deliver a proper message to the audience to grab their attention. In order to get the prospects, there are certain secrets and elements which every web design should deal with. Check out to create a stunning and responsive web design. Just a visual aesthetics doesn’t bring in more sales for a business. A web design must be able to guide the customers who landed on your website. Focus on the functionality of the website rather than focusing more on redesigning the elements in a colorful manner. Besides, having impeccable design always be precise with your message and marketing strategy. Just stop overhauling and be open to guidance as various opinions might create a successful impact on your business. 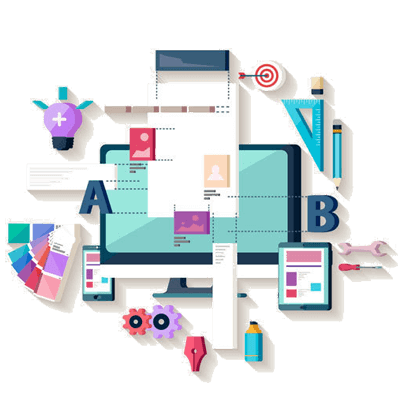 When it comes to web designing, there are different factors that make it more profitable and not just the budget you invest on it. Give the customers a personal connection as this helps them to hire your services. Consider all the different devices which the customers are using, help them to adapt your website besides just providing the great user experience. Never neglect a responsive web design for your company’s online presence. Knowing the importance of social media presence, almost every company is trying to handle efficiently all their social pages. It is here; ensure that all the buttons are in the right places as it helps the visitors to get more information when they need. When the visitors are engaged in this manner, all the press releases, image galleries, and blogs will be able to dive in more traffic in a less time. This is a simple secret which helps to get organic traffic and get the brand identity in a less time. Don’t underestimate the potential of call to action at the right place. Testing plays a vital role in enhancing the performance of the website. Test thoroughly so as not to miss the click throughs and the other conversions. Also, remember to check with the hosting providers and ensure you are using the latest version always. With this, the chances of underperformance will never be concern. Always plan for a better user flow and when it comes to content make sure that you just retain the useful one and omit all that is not needed. Always remember that the web design is built keeping the user goals in mind. There are different few web fonts which are available and all these are helpful to get rid of the typography troubles. Based on the company’s products and services, select the right color inspiration always. Make use of the better image conversions and layouts to make the designing process more elegant and easy. All these factors help in enhancing the site ranks, to target the end users and also to decrease the bounce rates.